1. 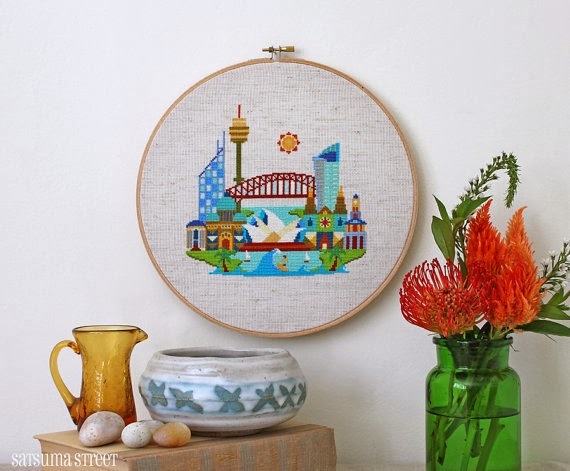 Emily Peacock designs beautiful needlepoint patterns and kits and I love the vintage/retro feel of her work! The Meeting Place is a cross stitch design, worked with crewel wool and is one of her easier designs. It's available as a kit. 3. Frosted Pumpkin Stitcheries A bunch of cute and Kawaii-style patterns. 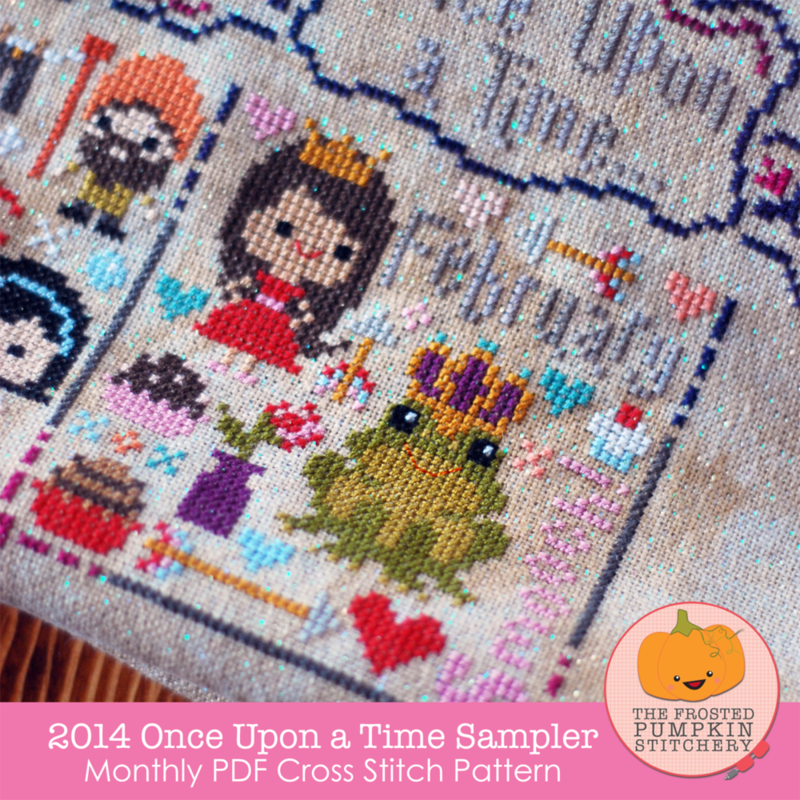 The Sampler pattern Subscriptions like this Fairy Tale themed one are especially irresistible, even though I can never keep up with them! 5. Wee Little Stitches, home of the Original Pixel People. Many of Jacqueline and Christopher's patterns are inspired by popular culture and if you grew up (or were a slightly geeky teen) in the 80's (I was!) you'll love the Labyrinth and Pretty in Pink Patterns. 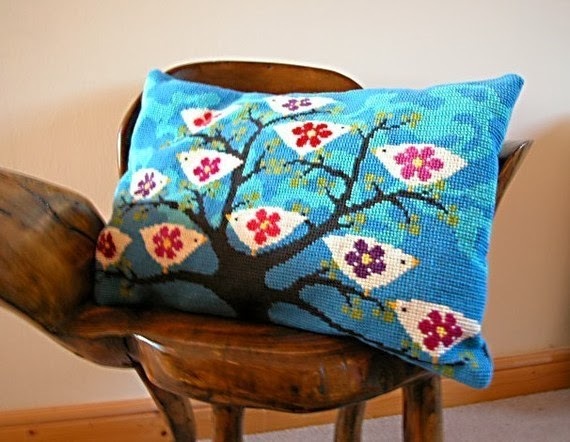 Generally the patterns are easy to stitch, so perfect for cross stitch novices. I interviewed Jacqueline in Fall 2012 about Wee Little Stitches. If you would love to try one (are more likely all) of these designs but have never done any cross stitching then don't worry: it's very easy to learn. 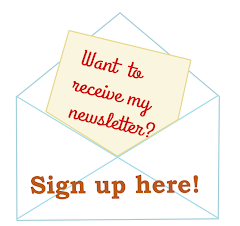 Sophie has some great information on her website to get you started. the owl is very cool! 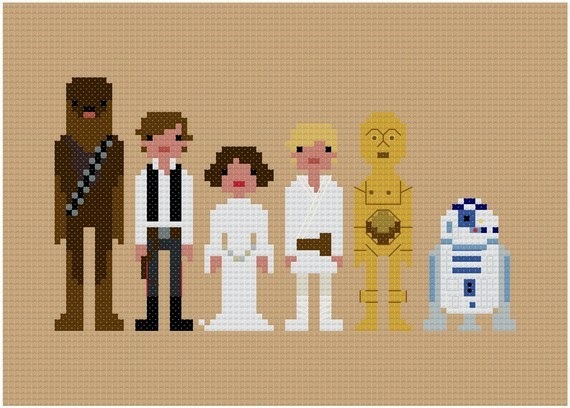 Cross stitch is really making a come back! Great post, I love seeing them all in one post. 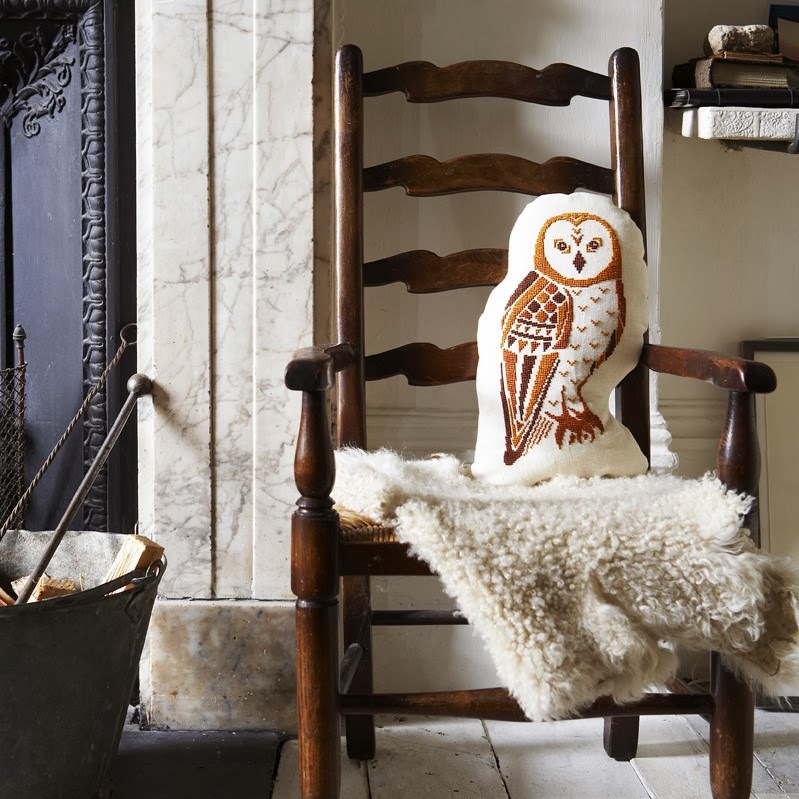 I really love the owl and I saw an awesome bee on her web site I love. I was at the book store the other day and came across Storyland Cross Stitch and HAD to buy it! I haven't done cross stitch in forever and really don't want to, but I will be doing some because of this book!